← 2013 – A year of blogging…. I thought I would write this post in the spirit of #nurture1314 – starting with a confession! 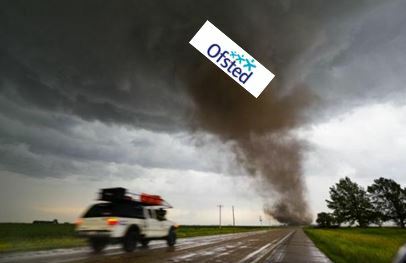 I used to be a bit of an OFSTED chaser – there’s a lot of it about. By that, I mean I used to spend a great deal of time distributing checklists, documents and ticklists to colleagues, about ‘what they had to do in order to be good or outstanding‘. Many of them were quite long and frankly, less than useful. Why? Well, teaching is a creative profession and these lists run the risk of shackling teachers to a format or style of teaching that does not suit them. More importantly, it has perpetuated some myths about styles of teaching that ‘work best’ and so must be adopted….often without any real evidence that they do actually ‘work best’. This is great news. It gives schools the freedom to throw away the ticklists and focus on the main thing – what can we do in the classroom (and beyond) to support great learning? There’s a huge amount out there, in books and blogs, that can be read about this – much of which has shaped my thinking this year. Two books have been particularly influential – ‘Mindset’ by Carol Dweck and ‘An Ethic of Excellence’ by Ron Berger. The message from these two books is simple, but makes perfect sense – Set the bar of expectation high; encourage students to be resilient; support deliberate practice and hard work; encourage students to respond to feedback and critique to improve their work and get them inspired by the excellent work of others. I don’t imagine that there are many teachers who would disagree with any of this. The questions that we ask should reflect our high expectations of all students and encourage deep thinking. So, we shouldn’t accept poor or superficial responses from students, but should re-question them and encourage them to think deeply and elaborate on their responses. Furthermore, no one should be exempt from our questions – there shouldn’t be a get out card! This is important in terms of building resilience – they may struggle with a question, but we’ll support and scaffold the questioning to help them get there. Don’t accept ‘I don’t know the answer’ as a response. Add ‘yet’ to the end of that sentence. 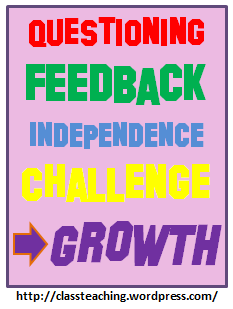 An excellent English teacher, Sue Wolstenholme, who has now retired, summed this up beautifully – ‘Good questioning isn’t about asking isolated questions, it’s about growing a dialogue in the classroom that probes, challenges and inspires’. Perfect! Feedback is essential for great learning. It can take many forms – written, verbal, from teacher, peer or self (though take caution with the last two – wrong feedback can perpetuate misconceptions) – but it must specific, ongoing and focused on closing the learning gap. In order to do this, students must be given the opportunity to respond to the feedback – give them DIRT! If they don’t respond to the feedback, it’s a waste of everyone’s time. Feedback is also key to us as teachers too. We should use feedback from how students are progressing with the work, to inform our teaching. Teacher explanation – we need to explain and discuss the new learning. Modelling – don’t just tell them how to do something, show students how to do it e.g. how to solve a mathematical problem in stages; how to do a particular painting technique; how to structure and write an essay. This stage is absolutely key and often missed out. It’s like teaching them how to throw a javelin, without ever actually showing them the technique! Deliberate practice – give them the opportunity to practice the new skill. Resilience – use their mistakes as an opportunity to further their learning. 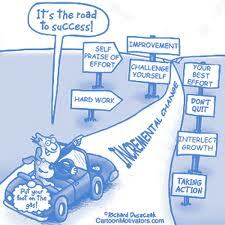 Encourage them to persist when they come up against obstacles and see effort as the path to mastery. Share excellence – find examples of excellent work and share this with the students. Set this as the standard for all. 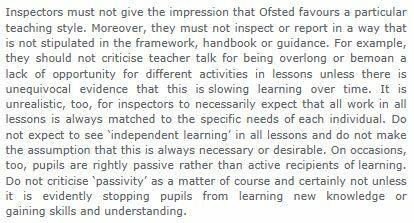 This is not about the ‘different coloured worksheets for different abilities’ approach, or the ‘all, most, some’ learning objectives. Both of these strategies put a ceiling on expectations. It’s about setting the bar of expectation high by having challenging and concise learning goals for all and then expecting all students to achieve them. It’s about finding the ‘bright spots’ – the examples of excellent work, discussing what makes it excellent with the class and then setting this as the standard for all students to meet and then exceed – so that we go ‘beyond our best’. It’s about immersing students in excellence – look around your classroom – are there examples of excellent work displayed for students to aspire to? If not, how do they know what the standard of excellence is? It’s about not accepting sub-standard work, but building a culture where feedback and critique is used to redraft and improve our work. Be like Andy Tharby and ban the phrase ‘I’m finished’ from your classroom! It’s about scanning your classroom for students who are stuck, allowing them to stay stuck for a while to build resilience and then knowing when to intervene and support with a question or some feedback, to help them become ‘unstuck’ and then challenge them even further. It’s about truly believing that students will always live up to our expectations of them. 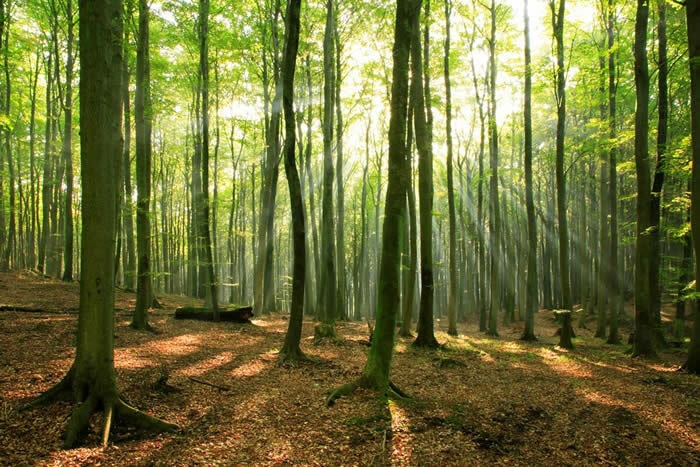 I think finally with this approach, we are beginning to see the wood for the trees. By giving teachers the freedom to implement these four key principles of great teaching, in their own creative way, free from the constraints of multiple prescriptive checklists, whilst supporting them to develop their practice through collaborative CPD such as coaching, 15 minute forums and Lesson Study, 2014 is set to be another exciting year. 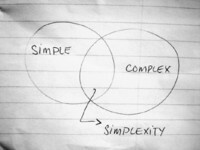 A year of growth and simplexity – Keeping things simple in a very complex educational world! As well as developing a growth mindset through our teaching, using the four principles outlined above, we’re also going to use the ideas and work of the brilliant John Tomsett to work with our students, to try and develop their mindset about work and learning. Early next term, students will complete a mindset questionnaire, which we will then use with them to develop them as learners. This entry was posted in General Teaching and tagged Challenge, Feedback, growth mindset, Independence, Questioning, Simplexity. Bookmark the permalink. 7 Responses to I can see clearly now…. Pingback: Edssential » I can see clearly now…. Reblogged this on paddington teaching and learning.